The government has withdrawn funding from England’s first nine pathfinders. Without cash to complete their projects, Keith Cooper asks what the future holds for the areas they were created to regenerate and the residents trapped in nightmare neighbourhoods. Teresa Bartlett is just one of thousands of residents whose lives are tied to the fate of the housing market renewal pathfinders. These nine organisations were established by the Labour government in 2002 with a 10 to 15-year mission: to tackle what had become widely accepted as a signficant problem in housing markets and communities in traditional Labour heartlands. Large areas of former urban authorities, including Newcastle in the north east, Birmingham in the midlands and Ms Bartlett’s home city of Hull on the Humber were being afflicted with what policy analysts and academics called market failure. Unpopular areas of towns and cities, streets and housing estates, were being abandoned in their droves by residents willing and able to escape the terminal decay that had set in. Labour’s favoured solution, as trumpeted by then deputy prime minister John Prescott, was to set up and fund the pathfinders to fix these failing housing markets. 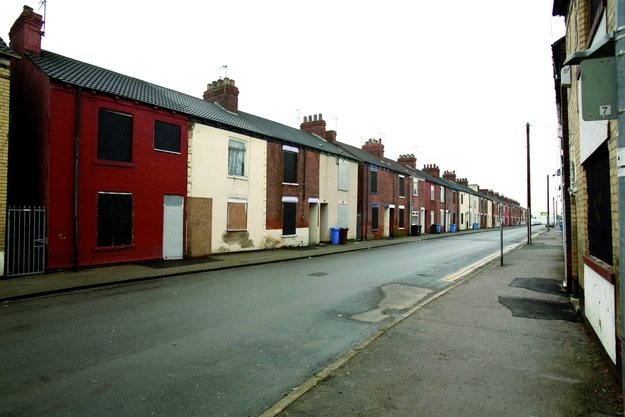 Many of the areas earmarked for rejuvenation, including Greek Street in Hull where Ms Bartlett rented her three-bedroom house, were considered by the pathfinders as beyond help: their favoured, expensive and often controversial solution was to demolish and rebuild; to rejig the housing market from scratch. In Hull alone 1,031 homes have been bought with government cash from homeowners and landlords. The pathfinder programme as a whole has seen 21,765 homes acquired and 20,586 knocked down, according to Homes and Communities Agency figures. Tenants, such as Ms Bartlett, and homeowners who have agreed or were forced to sell their homes in clearance areas have received financial compensation to move. It has been an expensive business. By the end of this financial year £2.25 billion of taxpayers’ money will have been poured into areas afflicted by market failure. This very New Labour project has now however been brought to a shuddering halt by the coalition government. In October last year the pathfinders’ long-term plans were thrown into disarray when chancellor George Osborne announced the end of their dedicated funding pot. This cleansweep has been devasating for the pathfinders themselves and its repercussions spread almost immediately to those living in clearance areas. So can anything be salvaged from this multi-billion pound programme and what does the chancellor’s decision mean for the people left behind? Ms Bartlett, a 28-year-old mother of two, was among 150 residents from whom Gateway Hull was forced to withdraw its offer of help to move. She was eventually able to move after Hull Council found £2.5 million from its own coffers to help prop up the acquisition programme. Gateway has, however, still been forced to scale back its plans to such an extent that £800 million of private sector investment it helped secure for the next five to 10 years is now likely to vanish. Ms Bartlett paid testament to the horror of being stuck in a clearance area (see box: Moving on). As a private tenant, she was unable to move until the pathfinder agreed a selling price with her landlord. This left her and her children, aged five and 11, stuck in the only occupied house on an otherwise empty street. Damp crept through her walls from the unheated homes that sandwiched her own. The noise of thieves ripping metal and lead off the roofs of neighbouring properties kept the her awake at night. ‘It was not very nice, especially when you are there on your own with two children,’ she said. The nine pathfinders have been hit in different ways by the funding cut, as our short survey shows (see box: Pathfinders. Those in Newcastle/Gateshead and Staffordshire have already said they will close in April. Redunancies have been announced or are threatened in others. 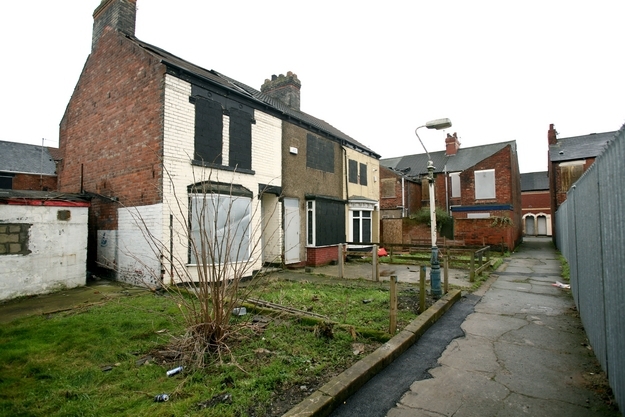 The Manchester/Salford pathfinder has been left with relatively few properties awaiting demolition but the regeneration plans of cleared areas have been left with black holes in their budgets. ‘The withdrawal of the dedicated HMR funding stream has occurred at a time when significant investment of housing renewal is required,’ a spokesperson for the pathfinder said. The coalition has given pathfinders’ access to an alternative source of funding: the £1.4 billion regional growth fund, which was announced in last October’s spending review. Roy Irwin, director of housing and economic development at the Audit Commission, believes local enterprise partnerships, which are replacing regional development agencies, are likely to drive market renewal when pathfinder funding runs out. These partnerships bring together local authority and business representatives to drive economic growth in their areas. They are the sort of organisations that will be able to make the case for a share of the regional growth fund. ‘We lived here for five years. It was nice when we first moved in but things started to change when people moved out. It became a bit like Beirut. ‘I was the only one on my row and couldn’t sleep because people came round taking metal and lead off the roofs of the other houses at night. I was really uneasy. The house was damp because of the other houses being empty; it wasn’t very nice, especially when you are on your own with two children. Ms Bartlett was awarded £4,700 for losing her home. 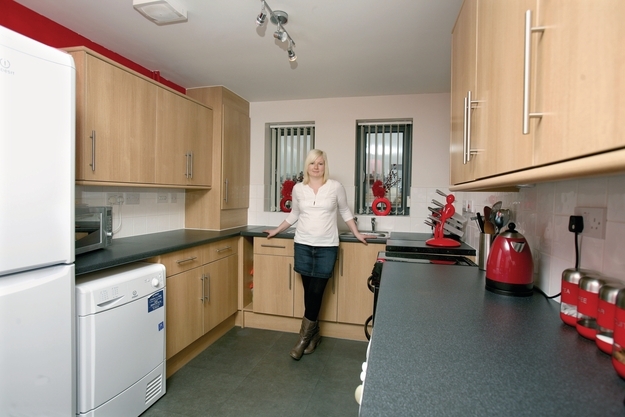 In December she moved into Heathfield Square, part of the new St Andrew’s development owned by housing group Places for People. Her move was eventually funded by Hull Council. This pathfinder, which covers Liverpool, Sefton and the Wirral, is about half way through its regeneration scheme. It originally aimed to complete in 2018. Talks are underway with the three local authorities to work out how the pathfinder’s work will continue. Since its creation, New Heartlands has overseen the construction of almost 9,865 homes, 76 per cent of which were affordable homes for sale on the private market. Manchester and Salford councils are examining how to continue the pathfinder’s work after March. So far it has overseen construction of 1,132 homes against an original target of 12,011. The number of properties awaiting demolition are ‘relatively small’ but the authorities need funding to complete the pathfinder’s regeneration work. ‘The withdrawal of the dedicated HMR [housing market renewal] funding stream has occurred at a time when significant investment of housing renewal is required to safeguard progress to date,’ a spokesperson said. RPL is shifting the focus of its work from housing market renewal to ‘support and nurture enterprise growth in the region’. The loss of funding has seen 35 staff served with redundancy notices. 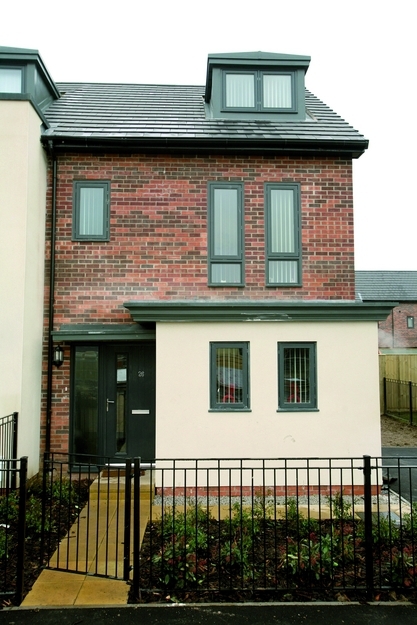 The pathfinder’s success in fixing failing housing markets in Lancashire, already damaged by the recession and housing market downturn, is likely to be hit hard by the funding cut, a spokesperson said. House prices taken at neighbourhood level in market renewal areas in early 2010 were less than a third of the regional average. ‘Without funding, there is a risk that the HMR areas will become further detached from the housing market,’ the spokesperson added. The city’s pathfinder’s original blueprint for regeneration extended into 2020. Since 2004, Gateway Hull has overseen the construction of 1,400 homes. The loss of funding has forced the pathfinder to inform 150 residents and owners that their properties can no longer be purchased or helped to move. The pathfinder needs at least £4 million to complete its clearance programme but admits that budget restrictions across the public sector will make it very difficult to secure alternative funding. ‘These incomplete clearance areas impact on the surrounding areas, with the potential to spread blight and undermine the value of all the investment to date,’ a spokesperson for the pathfinder said. The pathfinder for Birmingham and Sandwell is eight years through its original 15-year programme. Demolitions will go ahead, a spokesperson for Urban Living said, as ‘the local authorities have set aside sufficient resources to do so or plan to utilise future capital receipts to complete this work’. The pathfinder programme was due to end in 2019. ‘The end of funding to transform housing markets in neigbourhoods across Rochdale and Oldham will leave much work undone,’ a spokesperson for the pathfinder said. Both councils have, however, committed to pursue other forms of funding. A core team of around 60 staff which were funded by pathfinder cash could be made redundant. The loss of dedicated funding ‘presents huge challenges for the future of housing markets in Oldham and Rochdale,’ the spokesperson added. Both authorities are considering making bids to the £1.4 billion regional growth fund. Renew’s regeneration programme has been cut in half by the government’s funding cleansweep from 15 years to seven. The pathfinder oversaw the construction of 4,311 homes. A further 6,000 were originally planned for the next 10 years. This figure has now halved. The pathfinder is looking at ways to raise money from the sites and properties it has amassed. The loss of funding has rendered plans to build 90 extra care homes and 20 bungalows in the city unviable. ‘This will impact on the city’s ability to meet demands for extra care provision,’ Hardial Bhogal, director of place at Stoke Council said. Renew is due to close on 31 March. The Bridging Newcastle Gateshead pathfinder is due to close in April. Sheila Tolley, interim director at BNG, said the funding cuts had not changed its plans ‘at this moment in time’. The pathfinder’s demolition programme for the 2010/11 financial year will proceed as planned. Over the next 15 to 20 years, almost 2,200 new homes are planned for the Scotswood area of Newcastle with 3,000 family homes due to be created in Gateshead. This pathfinder was unable to provide figures for acquisitions and demolitions. Its regeneration programme was due to run for 15 years but it is now expected to end in March. Jeff Goode, director of Transform South Yorkshire, said it was difficult to determine the precise impact on the redevelopment schemes the pathfinder was involved in. Replacement funding was being sought, he added. ‘Our partners are keen to find alternative sources of funding wherever they can,’ Mr Goode said. Transform was prioritising unfinished schemes.